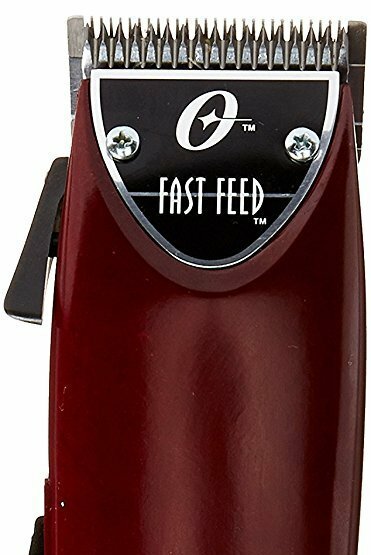 WHAT WE LIKE ABOUT OSTER FAST FEET MOTO CLIPPER & WAHL PROFESSIONAL 8148? Both Oster & Wahl have an ergonomic design which makes them easy to hold all day long. 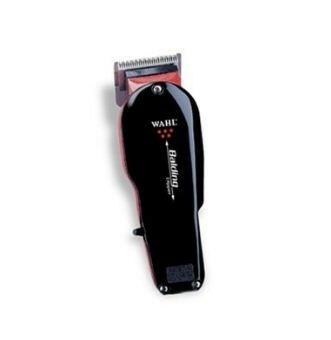 Wahl 8148 is cordless – this makes it the best hair clipper for barbers & stylist. It can work even when not plugged into power. Both are premium balding clippers – they have a nice & durable build-up. (1) Quiet performance, Does not heat-up quickly (always cool even when used for longer hours), (2) Extremely sharp blades – they cut as close as possible (so far the best professional baling hair clipper money can buy), (3) Include various attachments for custom shaving of head & beards, (4) Provide nice clean cuts every-time you use it, (5) 8 ft power cord, (6) Best hair clipper for barbers, (7) Durable, (8) Does not scratch your head, (9) Does not pull hair when shaving, (10) Adjustable – Steel blade adjusts between size 000 and 1 (choose a cutting length of your choice). 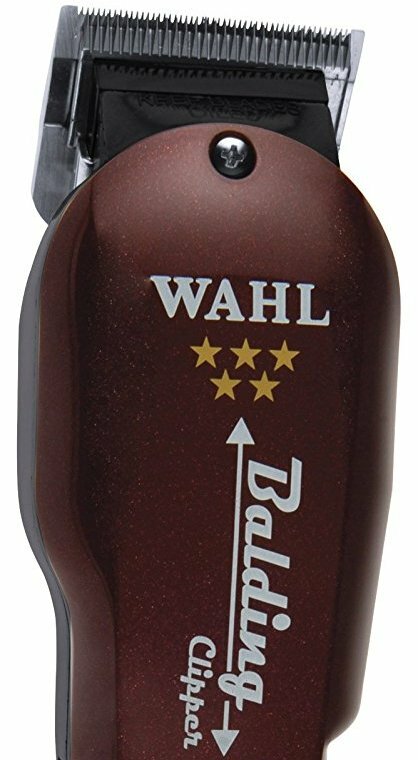 Affordable & Highly Rated Balding Clipper – Wahl Professional 5-Star Balding Clipper #8110 – Check price on Amazon – WHAT WE LIKE:- Powerful V5000 motor guarantees you with a smooth and even cut without nicking / slicing your scalp. For perfect results – adust blades once the clipper is out of the box to avoid disapointements, Leight weight, Long cord (8-foot cord), Operates at 120 volts/60 hertz, Includes the following accessories – (2) attachment combs, oil, cleaning brush, instructions, and red blade guard. This 5-Star Balding Clipper is intended for professional use only. Great Haicut Kit with Clippers – Wahl Clipper Elite Pro High Performance Haircut Kit – Check price on Amazon – WHAT WE LIKE:– Full haircut kit – includes everything you need to get a nice haircut, It is very affordable, Self-sharpening precision blades will always be sharp – ready to cut all hair types. By default, all premium hair clippers have self-sharpening blades so you won’t get bothered by manual sharpening. But I don’t want to leave issues on the table un-solved. You might already have a hair clipper and upgrading to a premium model like OSTER / Wahl 8148 is not your choice, so let us see how you can sharpen blades for that old hair clipper you already have. Unscrew the blades: – Start by unscrewing the blades. This is easy; most hair clipper’s blades are secured with two screws found at the base of the blade. After removing the blades, keep the screws in a place where you can locate them easily – otherwise, once lost, you might not get replacements easily. Remove hair & debris from the blade: – Now that the blades are off the clipper. Brush out hairs and other debris using an old toothbrush. Cleaning your clippers will make it easy to sharpen. Remove rust on the blades:- I can’t predict the condition of your hair clipper’s blades, but if they have been in contact with water for quite some time, the possibility of having rust build-up over them is high. So remove this rust with a wire brush and sanitize the blades with alcohol. Dry the blades:- After applying alcohol to remove rust, wash your blades very well and dry them with a towel. This will make it easy to sharpen. If at all the rust is stubborn, you might consider buying new blades for your clippers, and Amazon & Ebay have lots of buying options. Sharpen the blade with a honing stone:- Run the blade over a sharpening honing stone. If you don’t have one, go to Amazon, they range between $7 to $45. Tilt the blade in different directions to get better results. Once the surface of the blade becomes shinny, stop and wipe of the metal power with a dry cloth. Make sure both sides of the blade have the same sharpness. Reassemble the clipper and get ready for a new haircut: – Once the blades are fully sharpened, screw them back tightly to the hair clipper and apply hair clipper oil on the blades to prevent over heating & friction when shaving. The OSTER is a sleek and adjustable blade clipper that was designed to cut through whiskers easily and faster since it’s equipped with a powerful whisper-quiet pivot motor. It is also equipped with a fast-feed clipper that keeps noise-level down and productivity up. On top of that, the integrated adjustable blade-lever allows you to change the settings easily from size 000-to-1. Lastly, this clipper is ultra-durable and built to last for years with great performance. It also comes along with a 3 comb-guide attachments, blade-guard and cleaning accessories. Powerful Pivot-Motor: it’s equipped with a powerful, whisper-quiet pivot-motor that is capable of running consistently and efficiently throughout your shave thus enabling you to achieve a fast and clean shave at all times. Ergonomic-Design: This clipper features an ergonomic-design that facilitates for comfortable and sure grip. This implies that the clipper can be used for all day trimming of whiskers with optimum-comfort in the hands of the user. Adjustable steel-blade: the OSTER-clipper is equipped with sharp, steel blades designed to adjust between size 000 and 1 so that you can always get a desired trim-level when shaving. In fact, these steel blades are also designed to cut through all types of hair whether wet or dry. 4 guide-combs: the OSTER-clipper comes with 4 guide-combs that enable you to trim whiskers and head-hair at different lengths. These guide-combs include; a Blending-comb, 1/4-inch comb, 3/8-inch comb and a 1/2-inch comb. A long power-cord: This hair-clipper also features a long, 8-feet power-cord that will provide you with enough spacing when trimming whiskers ad head-hair. A sleek, lightweight and ergonomic design. Cuts through hair quickly and effortlessly. A powerful Whisper Quiet pivot motor. Fast-Feed clipper keeps noise-levels down & productivity up. It can cut through wet or dry hair. Easy changing of settings using an adjustable blade-lever. Includes 3 comb-guide attachments, blade-guard & cleaning accessories. It’s not a cordless clipper and you have to use it when directly connected to the power-source using its long-cord. Not so good at balding and creating guidelines. The Wahl Professional 5-Star is a corded and cordless hair-clipper that has been designed to work perfectly for barbers and stylists. This clipper is equipped with high precision zero-overlap 2161 blades that ensure sharp performance while the integrated taper-lever facilitates for easy fading and blending. On the other hand, it’s equipped with a powerful lithium-ion battery that provides up to 90-minutes of cordless operation per charge. However, it can also be used while corded and it even comes several accessories required for use like; 8 attachments-combs, cleaning-brush, red-blade guard and a recharging-transformer. Commercial-grade Clipper: the Wahl Professional 5-Star is intended for professional-use only in order to deliver sharp-performance that experts demand coupled with the freedom of cordless-operation. High-precision Blades: This clipper is equipped with high precision zero-overlap 2161 blades that ensure a clean-trim, superior-speed and ease of use. However, these blades are not self-sharpening and you need to replace them time after time. A Taper-lever: The Wahl professional clipper also features a convenient taper-lever that facilitates for easy fading and blending while trimming whiskers and head-hair. A Powerful Lithium-ion battery: It is also equipped with a powerful lithium-ion battery that is capable of providing up to 90-minutes of cordless operation per full-charge. However, this hair-clipper can also be used when corded when the battery-power is down thus ensuring optimum convenience. Extra Accessories: The Wahl professional-clipper comes with multiple useful accessories required to improve your trim. These accessories include; 8 attachment-combs, blade-oil, cleaning-brush, red-blade guard and charging-transformer. It’s a 5-Star Corded or Cordless hair-clipper. Designed to deliver the sharp-performance that experts demand. High-precision zero-overlap 2161 blades that offer a superior cut and ease of use. A convenient taper-lever for easy fading and blending. Powerful lithium-ion battery that offers up to 90-minute of run-time. An ergonomic design that makes it very easy to hold and use. 8 attachment-combs for styling and trimming hair at different lengths. A red blade-guard that protects sensitive-skins while shaving. Its blades are not self-sharpening and this implies that you will need to replace them after sometime. The Wahl Professional 5-Star Balding Clipper #8110 is designed for stylists and barbers in order to enable them do a great trimming job on their clients. This hair-clipper is equipped with a powerful electromagnetic motor that cuts as twice the speed of pivot-motors while the self-sharpening Titanium cutting blades facilitate for a surgically close cut making this clipper perfect for quick, precise and effortless balding and skin fades. Lastly, this hair-clipper features an ergonomic-design that makes very easy to hold or use and it even comes with all the necessary accessories required for use which include; attachment-combs, red blade-guard, cleaning-brush and an 8-foot professional grade chemical-resistant cord. 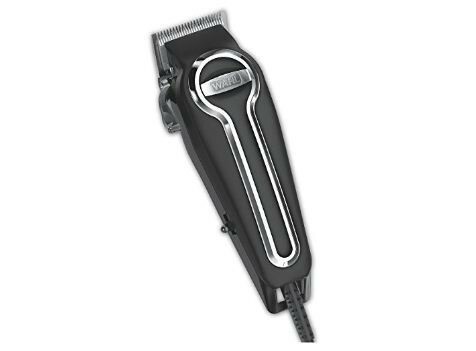 Electromagnetic motor: This Wahl-clipper is equipped with a powerful V5000+ electromagnetic motor that cuts twice the speed of regular pivot-motors while optimum-performance up to the end of your trim. On top to that, this motor operates at 120-volts/60-hertz in order to ensure consistent performance. Titanium cutting-blades: it features Professional German-milled Titanium cutting-blades with a self-sharpening design in order to provide barbers and stylists with a surgically-close cut. this makes the Wahl 5-Star Balding Clipper-#8110 perfect for a quick, precise trims while ensuring effortless balding and skin-fades. A long power-cord: This clipper is features an 8-foot, professional-grade and chemical-resistant cord that is very durable and will enable barbers and stylists to work on their clients at any desired length and angle. An ergonomic and skin-friendly design: it also features an ergonomic-design that makes it very easy to hold when trimming hair while its skin-friendly design with a smooth steel-base and round-cutting attachments facilitate for the most comfortable clipping experience all the time. It’s built to impress you both visually and performance-wise. Skin-friendly design with a smooth steel-base and rounded cutting-attachments. Professional-grade, German-milled, Titanium-cutting blades with a self-sharpening design. 3 trimming-attachments for clipping hair at different lengths. An 8-foot, professional-grade and chemical resistant power-cord. Offers a surgically-close cut making it perfect for quick, precise and effortless skin and bald fades. It’s not a cordless hair-clipper and this implies that you will have to use it while connected to a power-source. The Wahl Professional 5-Star is a powerful single-cut Balding-Clipper designed to facilitate for full head-balding. 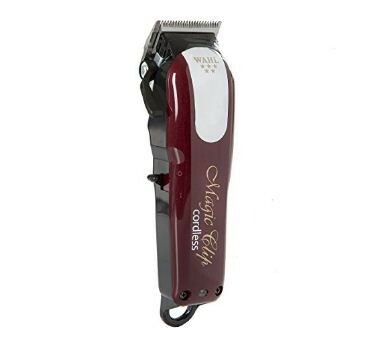 This hair-clipper features a super-charged V5000 motor with twice the speed and power of pivot-motor clippers. On the other hand, this hair-clipper is equipped with zero-overlap, fine-tooth surgical-blades that facilitate for ultimate closeness with a “000000” blade. 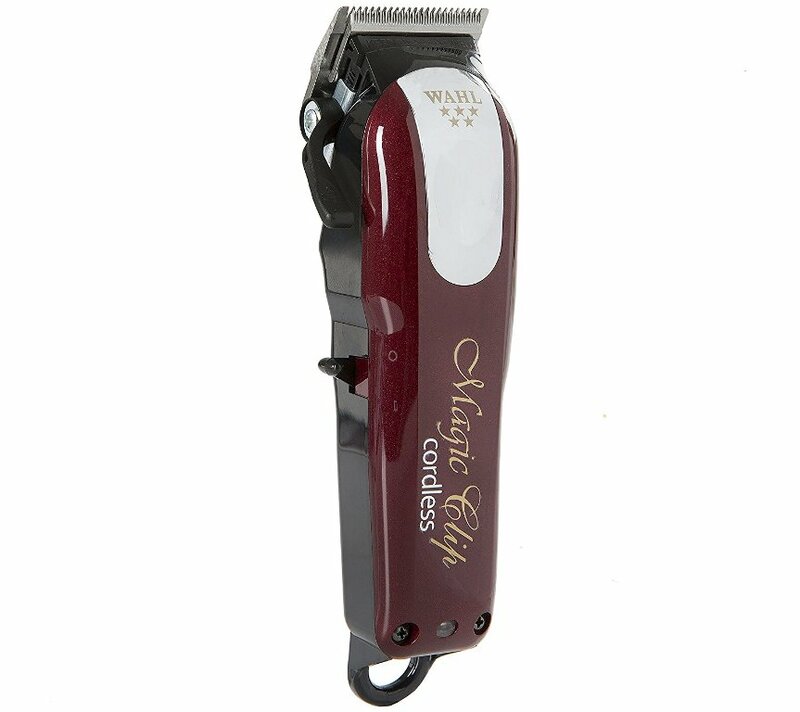 Additionally, this clipper comes with 2 cutting-attachment guides that facilitate for full head-balding and skin-tight fades while its long power-cord facilitate for convenient usage. 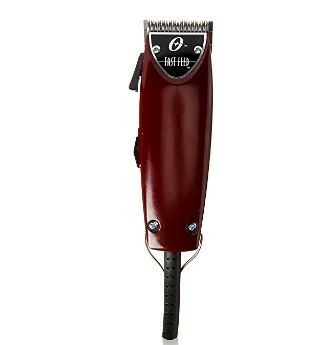 Super-Charged V5000 Motor: This hair-clipper features one of the most powerful motor-drive systems on the market today. In fact, this Super-charged V5000 motor provides extra-power and it’s twice the speed of any pivot-motor clipper. Zero Overlap Surgical-Blades: The Wahl Professional 5-Star is equipped with Zero-overlap, fine-tooth surgical blades crafted with you in mind. These blades facilitate for ultimate closeness because they feature “000000” Blade. So, this implies that you will be able to achieve superior full-head balding and skin-tight fades. Ergonomic-Handle: it features an ergonomically designed handle that helps to reduce stress on your hands and wrist while grooming your hair. This means that you will be capable of trimming hair for extended periods of time with optimum-comfort. A long Power-cord: it’s equipped with a long 8-inch power cord that operates at 120-volts. In fact, this is a cord-only shaver and can’t be used cordless because it lacks an inbuilt battery hence making it a bit inconvenient to use when travelling. 2 cutting-attachment guides: this hair-clipper comes with 2 cutting-attachment guides that trim hair at different lengths of 1/16-inch and 3/16-inch. This will facilitate for full head-balding and skin-tight fades. Powerful single-cut clipper with surgical-blades for full head-balding. Super-charged V5000 motor for extra power. It runs twice the speed of pivot-motor clippers. Ultimate closeness with a “000000” blade. It offers full-head balding and skin-tight fades. It comes with a black-barber comb, pre-shave brush, red blade-guard & cleaning-brush. It’s a cord-only hair clipper and this implies that it can’t be used cordless since it lacks an inbuilt battery. The Wahl Clipper Elite-Pro is a high-performance hair cutting-kit that was designed to provide men with a perfect and complete grooming experience. 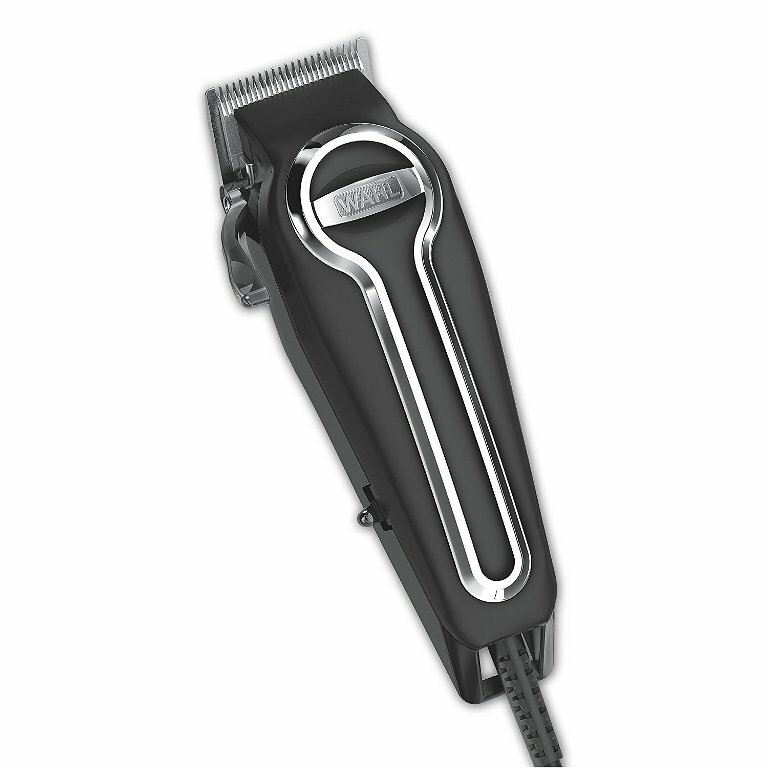 This hair-clipper is equipped with one of Wahl’s best corded motor that provides 15% more power than PowerDrive premium motors while eliminating snagging and tagging when trimming hairs. On other hand, this hair-clipper features self-sharpening blades that stay sharper for longer and even cut hairs 40% faster while the included set of secure-fit guide-combs with stainless steel attachment-clips will give you a smooth and easy haircutting experience. Lastly, this hair-clipper features an 8-foot Industrial Heavy-Duty Cord with a voltage of 120V/60Hz. 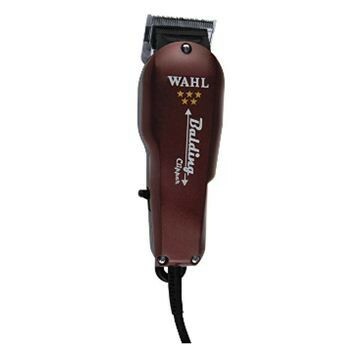 Wahl’s best corded motor: this hair-clipper is equipped with Wahl’s best corded motor that produces 15% more power than Wahl’s PowerDrive premium motors while eliminating snagging and tagging. This motor actually makes the hair-clipper powerful-enough to run for the entire day with optimum-performance. Self-sharpening precision: The Wahl Clipper Elite Pro features Self-sharpening precision ground blades that facilitate for a smooth cutting through different types of hair while staying sharp for the longest period of time. In fact, these blades cut hairs 40% faster than regular blades and even don’t require regular replacements since they are self-sharpening. Best guide combs: This hair-clipper also comes with the finest secure-fit, stainless-steel clip guide combs that can easily be attached onto the clipper in order to facilitate for a smooth and easy haircutting experience. Additionally, these guide-combs are 70% stronger than standard Wahl-combs and even have a large name-plate that facilitates for easy seeing of comb-size. Industrial Heavy-Duty Cord: The Wahl Clipper Elite Pro also features an 8-foot industrial heavy-duty Cord that is facilitates for easy usage of the hair-clipper. In fact, this power-cord transmits a voltage of 120V/60Hz and this actually makes the hair-clipper perfect for use in USA electrical-outlets only. Premium Storage Case: it is also provided with a premium poly-case that facilitates for convenient storage and organization of clipper-tools. In fact, this storage-case features a locking-latch and nylon-bag for securing guide-combs when not in use. Self-sharpening precision blades that stay shaper for long. Wahl’s best corded motor that offers 15 percent more power. Premium-grade, Secure-Fit guide-combs with stainless steel attachment-clips. Perfect grooming-kit for hair cutting and beard trimming. It cuts through all types of hair smoothly and neatly. Large name-plate for easy seeing of comb-size. An 8-foot industrial Heavy-Duty Power-cord. A Premium Storage Case for Convenient organization tools. It’s designed for corded use only because it doesn’t have an inbuilt battery. This marks the end of this detailed review on the ”Best Professional Balding Hair Clippers”. Bookmark this post for quick reference.